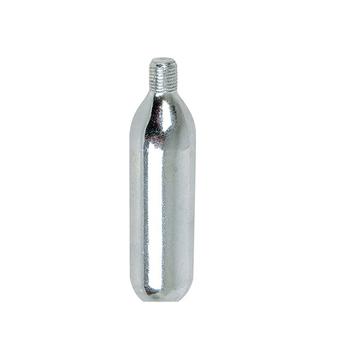 Amongst many Fire and Life saving applications, the 25G threaded Co2 Cartridge is a perfect fit for many bicycle tyre pumping requirements. 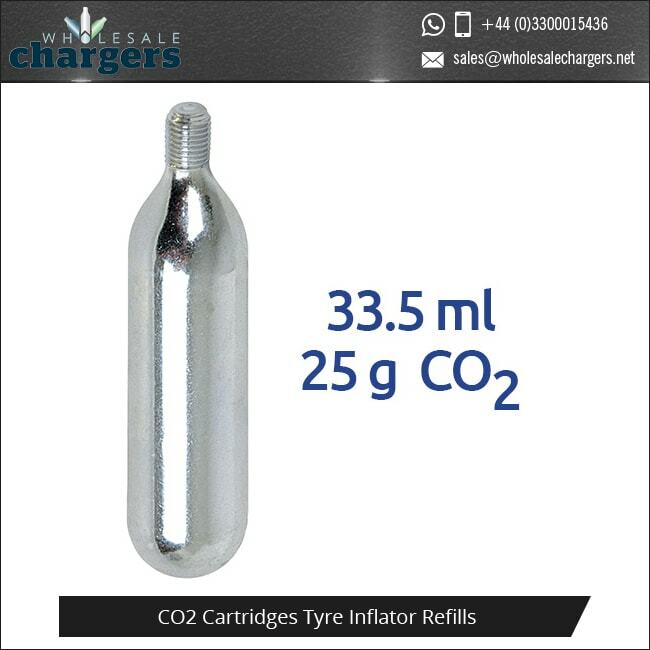 The 25 gram c02 cartridge is filled with 100% Co2 delivering fast, effective re-inflation for your tyres. Whether you’re out on a tough ride or racing to beat your best times, this cartridge will fill your bike’s tyre in no time at all. It will pump your tyre in a single, easy shot. Each 25 gram threaded Co2 Cartridge can offer multiple uses. The 25G threaded C02 cartridge is made from 100% recyclable steel, it can easily be recycled along with your tins and cans once the cartridge is fully empty. It is easy to attach and detach from your tyre inflator and we also stock foam covers for your tyre inflator to protect your hand during each use. Keep yourself on the road, in the mountains and in the race for longer, with just a quick shot you will be off, peddling away again. All of our Co2 Cartridges are produced to a high quality by our excellent manufacturers Liss and Mosa, allowing us to supply the World with the best products. Liss is a well-established Hungarian company manufacturing compressed gas cartridges. A private, family owned company that supply a variety Co2 cartridges, inflator kits and much more. Mosa are considered one of the world’s largest manufacturers of disposable compressed gas capsules. Producing products including Co2 cartridges for carbonating soda, inflating tyres and inflating car airbags. 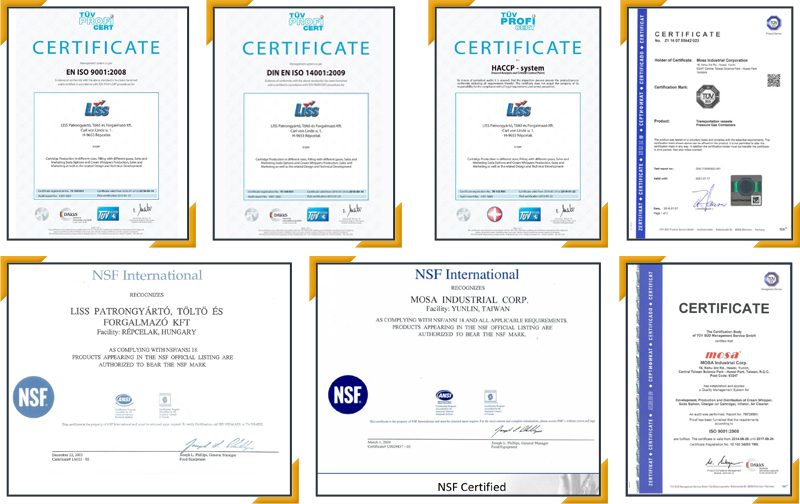 Both Liss co2 Cartridges and Mosa co2 Cartridges are produced to high quality standards with all necessary health and safety information on the packaging of all products. Minimum for all orders of the 25g threaded Co2 cartridges is 240 cartridges, orders are bulk amounts, not single units. Minimum Wholesale Order is 240 Cartridges. All cartridges you order will be delivered in unbranded packaging, you can repackage your orders, label and design, adding logos and brand names where you want, for you and your customers. Alternatively, we can repackage the cartridges for you, adding any designs you wish before we deliver them. Order from us and build your own brand, customise the products you order from us with your brand and designs, so your customers know the products they can rely on and keep coming back. All orders are wholesale bulk orders not singular items, keeping you stocked up with all your businesses Co2 cartridge needs. OEM Own brand customization available from 120,000 co2 cartridges. CO2 Cartridge contains 25g (32 Cubic cms) of pure CO2 Carbon Dioxide (E290) at approx 60bar/900psi. Disposable They are non-refillable CO2 Gas Cartridges made with 100% recyclable steel. Do not dispose of unused cartridges! 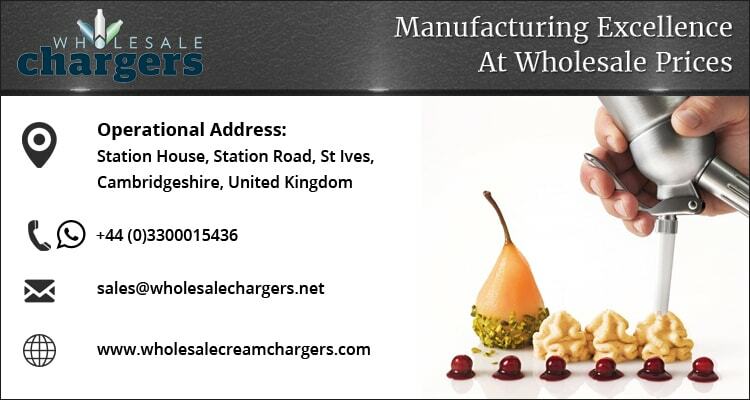 Although we have become the trusted supplier of CO2 and gas to a wealth of high profile clients operating within the food and catering industry, we also provide a great range of high performance gas-based products that can be used in conjunction with applications that are used to save and preserve life. Offering reliable and responsive performance in every emergency situation, our products will ensure that you are always well prepared. After all, in any emergency, time is of the essence and every second counts. With this is mind, it’s vital that you have the live saving equipment you need to handle any emergency situation quickly and effectively. All of the gas cylinders we provide have undergone rigorous testing to ensure that they meet the high industry standards adopted by applications needed for the medical industry. We are dedicated to constantly expanding our portfolio with the very latest and innovative products, which allows us to consistently improve and develop our product portfolio. Our gas cylinders are frequently used within the Aviation sector to quickly and effectively inflate aviation life jackets. Whether it’s FAA- or CAA-compliant life jackets, our comprehensive cylinders have been rigorously tested in order to ensure that they comply with the aviation industry’s stringent quality and safety standards. Suitable for industry applications on cruise ships, fishing boats, tankers, oil rigs, and even luxury yachts, our expansive range of gas cylinders are perfectly equipped to offer split-second inflation of all lifesaving equipment when you need it the most. From lifesaving jackets and life buoys, through to two-man life rafts, you can rest assured that all of the gas cylinders we provide are fully compliant with international standards, such as EN-ISO 12402-7. But that’s not all - they are also recognised by official bodies such as the Underwriters Laboratories in the United States. We provide a whole host of gas-based products that are suitable for inflating equestrian safety vests, so you will be able to enjoy every adventure on horseback, safe in the knowledge that you are fully protected. Offering superior protection and coverage, Equestrian Safety Air Vests have been designed to provide optimum support, whilst protecting your neck, back, lower back, and vital organs. But this doesn’t mean that you will be restricted, Equestrian Safety Air vests have been designed to allow you to move freely. When you’re travelling on the open road, it’s vital that you take your safety seriously and ensure that all parts of your body are protected. All safety air vests can be teamed with your leather jacket or full leather. Used in real life and death situations as well as training, our products are with those who protect us and our liberty and safety every step of the way. Supplying nonlethal solutions to many, including some of the most elite military training organizations and weapons manufactures helping to make the world a safer place.